And staying that way for now. You know the economy has become truly screwy when it pays more to collect jobless benefits than to get an actual job. The economy is so weak and jobs are so scarce that some people are finding that it isn’t worth it to work. These workers say that’s because the only jobs available are part-time or low-wage gigs that would not only be a big step down from their previous careers but also would not even pay enough to cover their expenses. About 8 million people are now collecting some form of unemployment aid, but how much they take home varies widely depending on what state they live in and how much they made previously. In Massachusetts, for example, the maximum benefit is $943 per week, including an allowance for dependents, while in Mississippi it is just $235 a week. In August, the average weekly benefit was $293.54, according to U.S. Department of Labor. 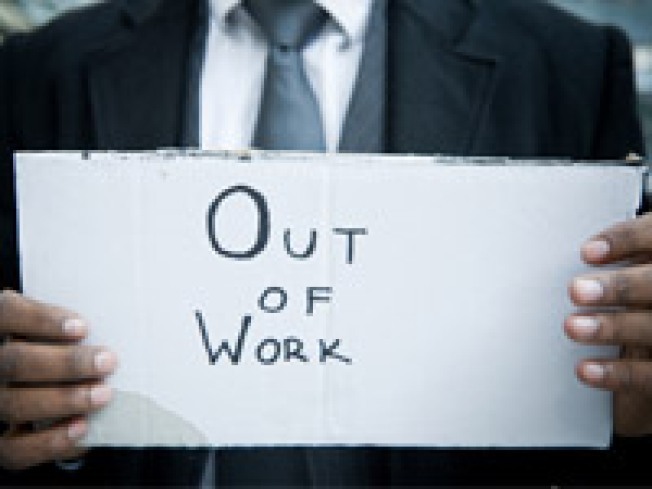 On average, unemployment pays about 47 percent of what people were making before they lost their jobs, according to the department's latest data from 2009. James Davis, 34, made more than $30 an hour as a unionized construction worker specializing in commercial framing before he was laid off in June 2009. He expected to find a similar job within a few months, but the construction industry was tanking and he could not find anyone hiring journeymen like himself, he said. “It was the worst time,” he recalled. The only job openings he found paid around $10 an hour. That’s much less than the $15 an hour, or about $600 a week, he collects on unemployment in Washington state, and not enough to keep up with his family’s expenses. “If I took home way less money it wouldn’t be beneficial for me,” he said. Instead, Davis, who lives in Puyallup, Wash., has opted to go back to school to become a vehicle mechanic. While in school, he is allowed to continue collecting unemployment benefits for up to six months. Even if a job in construction were to come up now, Davis is not sure he would give up on his mechanic training. That’s partly because last June, he did land a good job back in his old field, only to be laid off again five weeks later. He worries the same thing would happen again. “I've got to wonder how long it’s going to last,” he said. There's no hard data on how many people are turning away work because it pays less than unemployment. The general rule for people collecting unemployment is that they must be actively looking for work. Andrew Stettner, deputy director of the National Employment Law Project, a worker advocacy group, said unemployed workers also could lose their benefits if they decline a suitable position that is reasonably fitted to the person’s skills and experience. But specifics vary by state and those criteria aren't necessarily tied to how much that position pays. In Washington state, where Davis lives, workers are not required to take a job that pays less than their unemployment benefit, said Sheryl Hutchison, communications director for the state Employment Security Department. Laid-off workers are generally entitled to a maximum of 26 weeks of unemployment pay through their state, and federal extensions mean some workers can collect up to 99 weeks of payouts. With the jobless rate hovering near 10 percent, it now takes jobseekers about 33 weeks, on average, to find a new job. Those long job searches have prompted some to take jobs that pay even less than their unemployment benefits, although it hasn't always worked out well. With so much competition for so few jobs, many jobseekers are finding that they have to accept some drop from their pre-layoff salary to get back to work. In August, the Bureau of Labor Statistics released a study of displaced workers who had lost a job between 2007 and 2009 that they had held for three or more years. The study found that 36 percent of those who found new work took a pay cut of 20 percent or more. After seeing firsthand how bad it is out there, some jobseekers say they’ve opted to take work that pays less than unemployment because it seemed more secure than counting on something better to come along. Christopher Trimm, 46, had just exhausted his initial 26 weeks of benefits when he accepted a security guard job that paid $11 an hour. That’s slightly less than the $12 an hour he was making on unemployment in California and half his previous pay as a 411 operator for a phone company. Trimm, who lives in the Los Angeles area, is now making $10 an hour in a different security job; he agreed to the wage reduction in exchange for a regular, full-time schedule with weekends off.